Vim Master PRO was created in order to master the operation of vim editor. You can learn a vim operations in quiz format. There are three types of difficulty, Easy, Normal, and Hard. There are 150 questions in total. Vim Master supports English and Japanese. 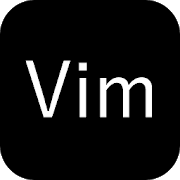 This app was created in order to master the operation of vim editor. You can learn a vim operations in quiz format. There are three types of difficulty, Easy, Normal, and Hard. You can browse the history of the answered results of yours and other players. You can register your name as Vim Masters for the top grades. Change the font of keystrokes to monospace.